Do you have a pile of small balls of leftover yarn? This Granny Stripe Blanket free crochet pattern looks like fun and a great way to use up your scrap yarns. You can’t beat a good, classic granny scrap blanket! Granny stitch is so enjoyable in all its different forms. 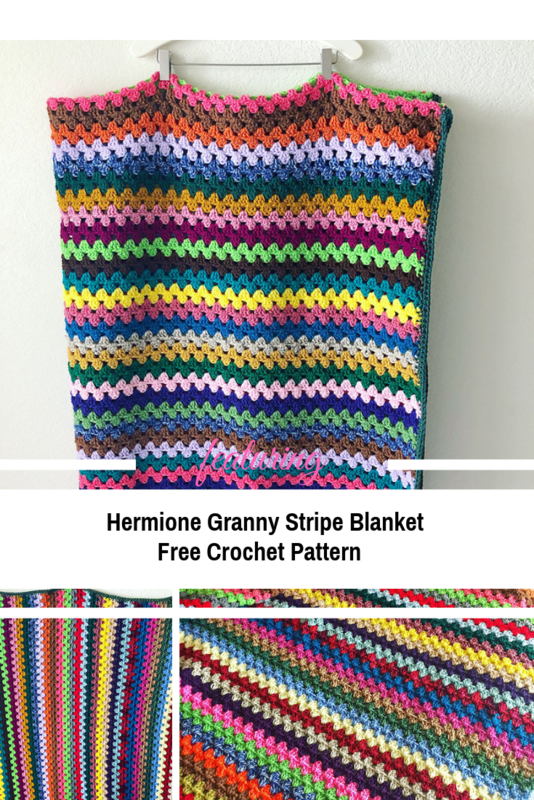 Turn those single balls into a spectacular granny stitch blanket with this Hermione Granny Stripe Blanket pattern designed by Kountingsheep. It is the perfect way to use up scraps of yarn that aren’t really big enough to do much else with. 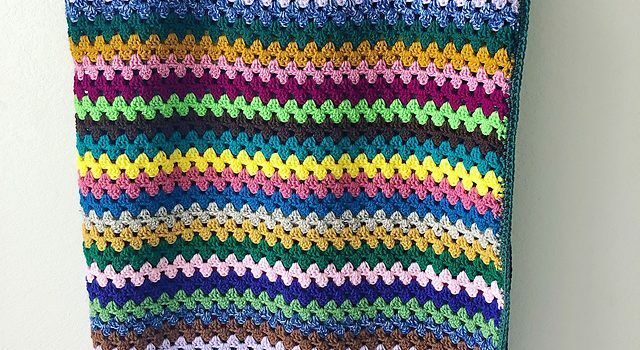 Check out the Granny Stripe Blanket Free Crochet Pattern with all the directions and full written patterns at: Kountingsheep. Thanks to Kountingsheep for the article inspiration and featured image.